The Nissan Leaf caught my attention with its really cool design. What's more, this five-door hatchback is an electric car, which makes it totally unique! Have you ever been on one? I've seen electric cars on TV but that's about it. I've never seen one on the roads here and I don't know anybody who actually owns one so yeah, I am one curious cat right now! What is so special about the electric car? Well, the most unique feature is that it does not use fuel to run. Instead, the electric car uses electric motors and motor controllers for propulsion. As a zero-emission vehicle, the electric car does not release any emission from the tailpipe, which means it does not pollute the air. Noise pollution is also absent when driving so despite high initial costs, electric cars are perceived to be more environmentally friendly and cheaper to maintain and run. 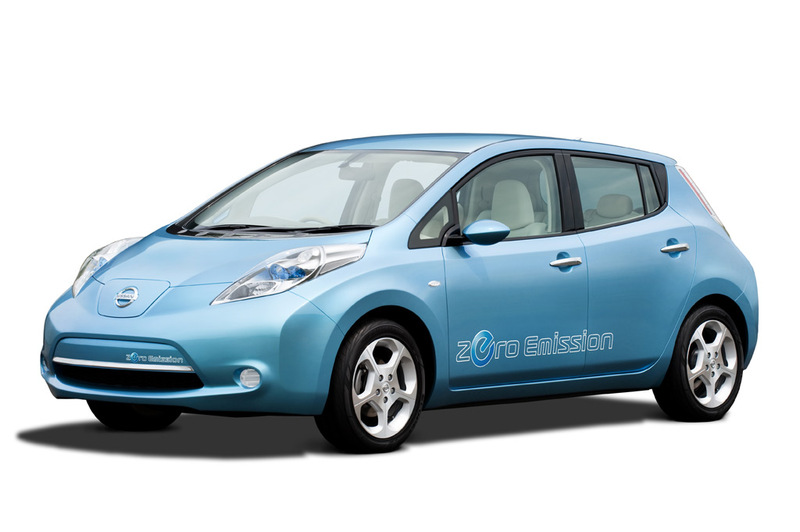 The Leaf is one of two pure electric cars offered in the U.S. for the 2011 model year. Weighing over 3,000 pounds with an interior room of a mid-size car; the Leaf also includes the ability to pre-heat or pre-cool the car while it’s still plugged in, to reduce the load on the battery. I would love to know the price of the Leaf but Nissan hasn’t release pricing on the Leaf as yet. The company did say that its overall cost of ownership will be comparable to, or better than, a gasoline car of the same size. Sounds pretty pricey to me so I doubt we'd be driving around in a Leaf anytime soon! What are your thoughts on the electric car? wah this car really looks spacious GP.. not like the ones I've ssen so far.. so small!! mesti mahal to GP!! wooot!! :* :* :* :* Monica! Meow 2! Hehe.. yeah.. then let me know .. lol! Tulah.. very big.. the rest all so slow.. color oso ok! I think electric cars are wonderful things but like you, I would imagine that they are going to be very expensive. And am wondering how far you can drive before the battery runs down. That is a cute one in the picture. Have a great Sunday. LOL yeah u told me at TF after I asked u here, dancing, drinking and cards… wowie! I just got one DPB from LW for meows, yahoooo! I got one for LJL… yahoo!!! yay for meows! i just chopped one LW PB too! Didn’t get as in no email notification is it GP? Thanks for understanding Monica, meow!